Imaging Edge is a suite of software to support creative work using Sony digital camera. 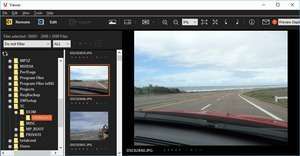 It currently includes three applications (Viewer, Edit, and Remote) that allow you to adjust and develop RAW-format images on the PC, and shoot images remotely from the computer when it is connected to the camera (tethered shooting). You can browse and search images; filter images by ratings; adjust the brightness and color of images; convert adjusted images into the JPEG or TIFF formats; and more. For security reasons, you should also check out the Imaging Edge download at LO4D.com which includes virus and malware tests. Additional screenshots of this application download may be available, too.